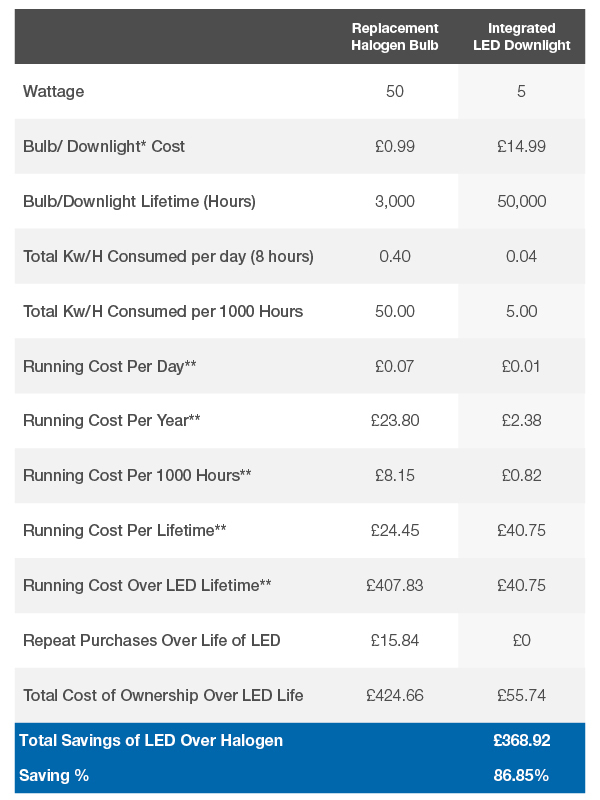 We have used our exclusive cost savings calculator to calculate the total savings of installing new LED Downlights against replacing halogen bulbs in your existing fitting. 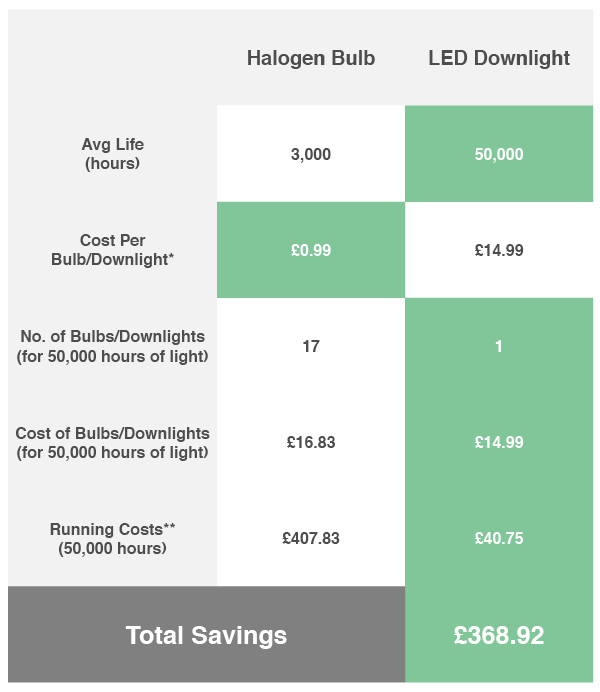 The table above compares the cost of replacing a halogen bulb in an existing downlight fitting, against replacing the whole fitting with a new integrated LED downlight. We have calculated the equivalent cost savings across our downlights range, details of which can be viewed on each individual product page using the link below. If you’re interested in our full energy cost saving calculation we have shown this in detail below. If you have any questions please don’t hesitate to ask our technical team on 0843 317 7820.